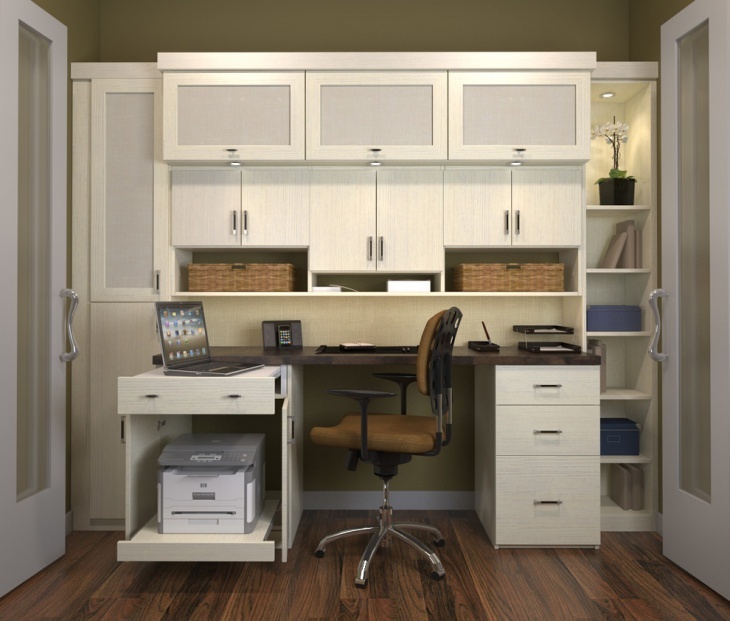 Today, everybody is looking to work from home; small home office designs are the best to use for organizing your workspace. 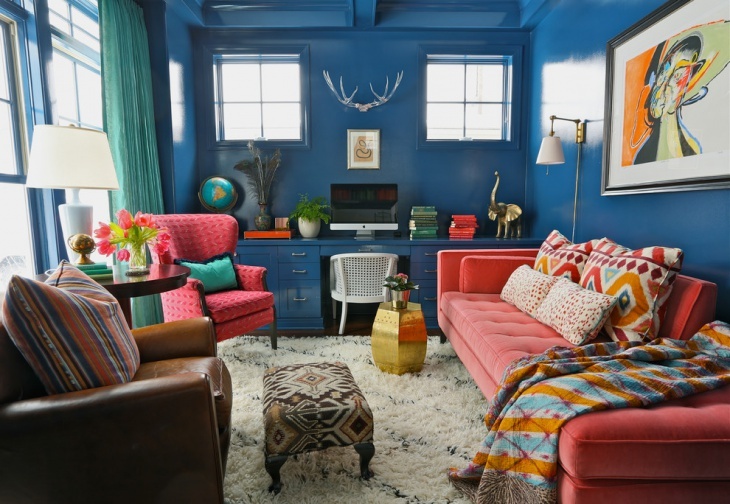 The space should be comfortable and well-lit, allowing you to work without any distraction. 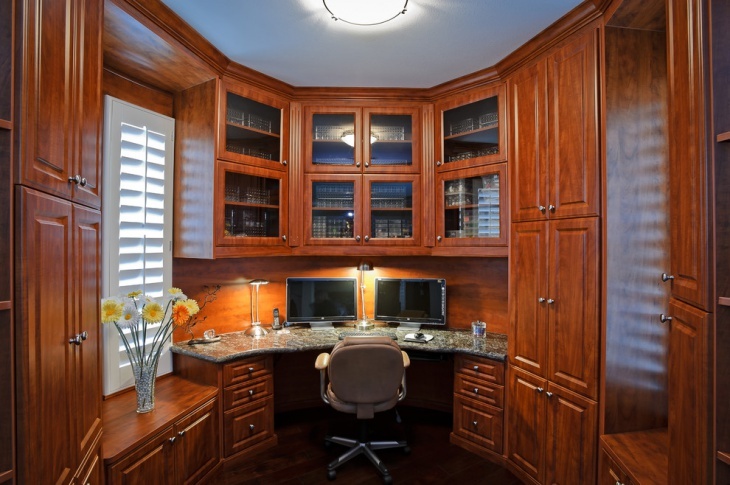 A small home office will help place you in a working environment without having to level your house. 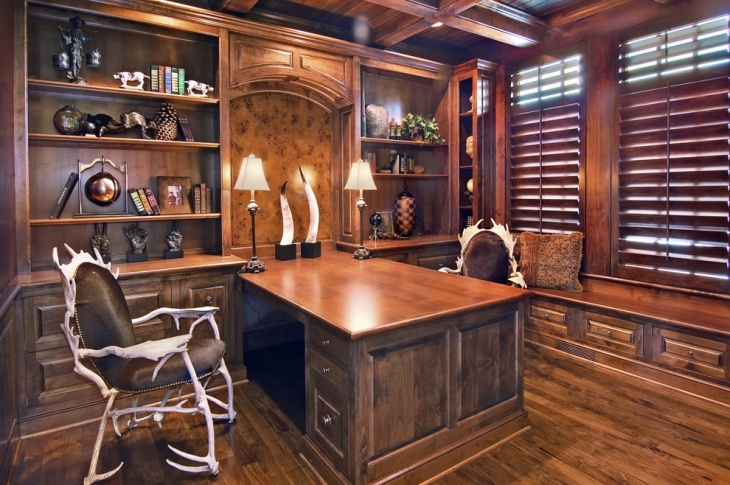 See some of the designs described below, for you next home office design idea. This is an ideal design for limited space. The view also helps you feel that the office is actually larger than it is. 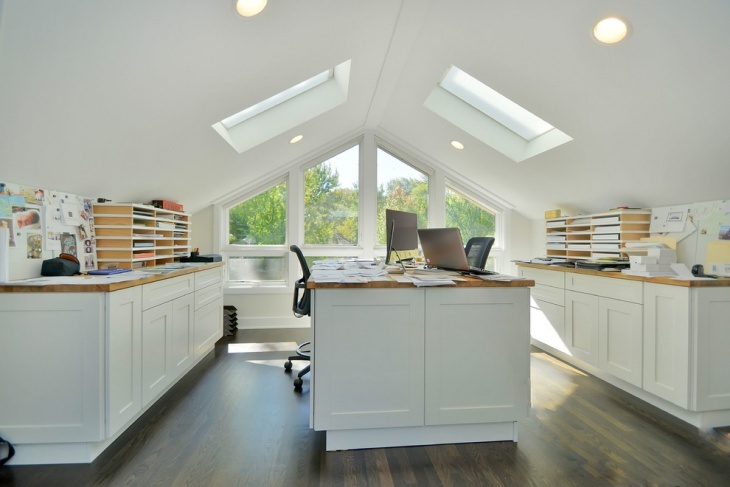 Turn your attic into a beautiful office with this design. The skylights add more light to the space, so you do not feel cooped up. This is ideal for people who have larger spaces. 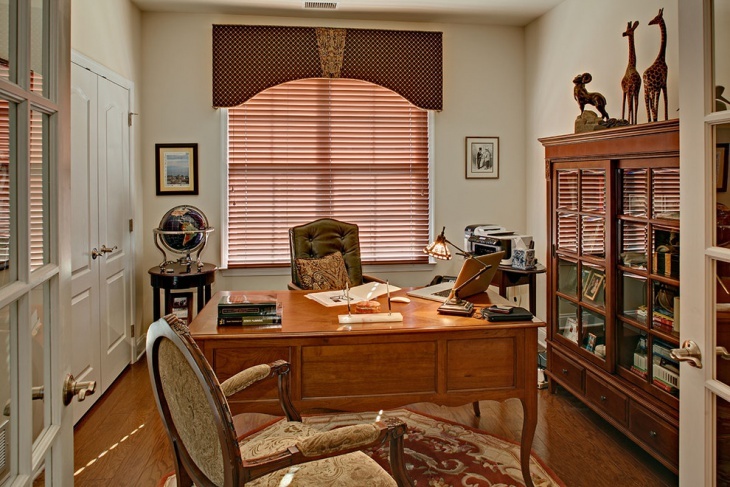 Convert the space into a large executive office with a Mediterranean atmosphere. 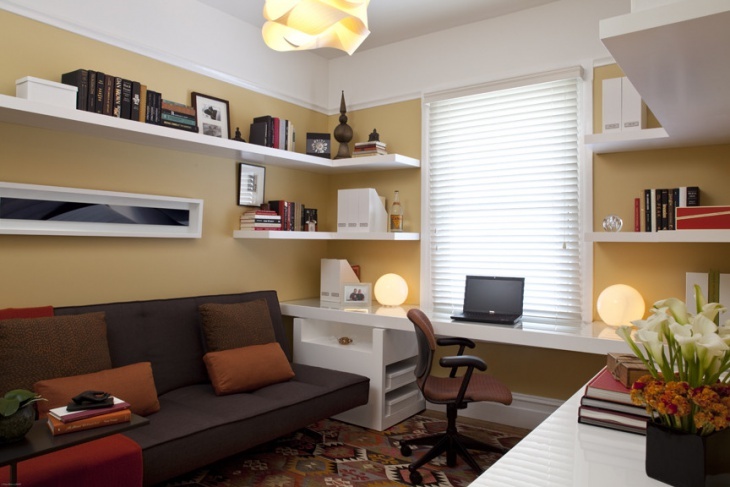 Turn a spare room into an office and also a place you can relax and mull over your ideas. It is ideal for writers. This is a great office idea for those who love dark-colored offices. It has a clean look and exudes a lot of energy. For those who thrive amongst the chaos, this design is ideal. The designs on the wall give you a focal point when you want to think through your work ideas. This is great for those who love large semi-enclosed spaces. The only natural light comes from the small window; has large seats for relaxing. This is ideal for someone who deals in artistic work. The colors of the office are inspiring. The artwork on the wall already draws your eyes as an artist. This is a wooden office that has a stately feel. One would expect this to be the office of some senior person in government. This is an office that speaks about nature; from the accessories to the chairs. It is great for someone who loves feeling like they are out in nature. This is ideal for someone in the textile and dressmaking industry. It has a great working area and a lot of space to store materials and other supplies. This is a regal office design. The tall cabinets give it an overbearing feel. It is great for those who want to exude power when they are at work. This is an office design that allows you to feel like you are at the office, but still at home; perhaps that is why it is called a transitional office design. When you want to work from home, you need a space that you are comfortable in; this will increase your productivity. With these office designs, you have several options to select from.